Need Business Process Management Consulting? Winged Disc Techonologies has extensive experience in handling the special needs of existing QuickBooks users. As well, we work with organizations looking for a new solution that QuickBooks can provide. 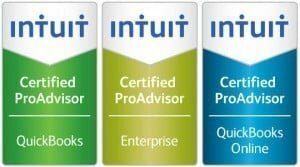 Please Note: Some QuickBooks functionalities require QuickBooks Add-ons. Contact Us for details and a free consultation. Stay in sync with your bank: Automatically download, categorize, and reconcile bank and credit card transactions. Track your expenses: Record expenses for tax time. You can even photograph and save receipts with your phone. Send professional invoices: Easily create custom invoices with your company branding and the fields you need.